Create work orders directly from service requests and aggregate duplicate service calls. Assign asset IDs to service call addresses in one system. Access up-to-date asset/location information even in the field because of improved asset data quality. Situated on the Northern California coastline, San Francisco is consistently among the top tourist destinations in the world. Rich in history and culture, the “City by the Bay” is home to iconic landmarks, such as the Golden Gate Bridge, cable cars, Alcatraz, Fisherman’s Wharf, and the famed Chinatown district. 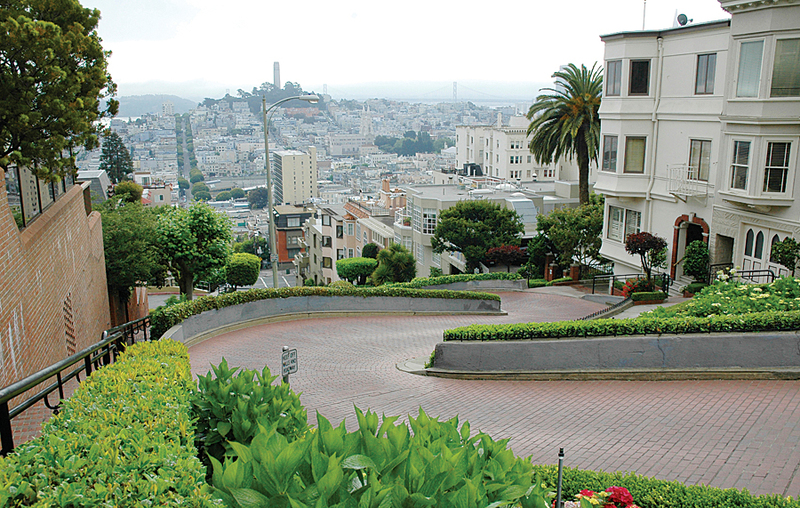 The city also is known for its striking architecture and notably steep, rolling hills. The hilly terrain that so readily defines the city also poses special challenges for area utilities, such as the San Francisco Public Utilities Commission (SFPUC). Rain events can produce flooding so significant that SFPUC can generate up to 100 service requests/work orders an hour. The question for SFPUC becomes, How do we mitigate these calls and deploy staff quickly to resolve the problem? While the problem simply may be clogged storm water drains, if not handled swiftly, intense flooding threatens to damage nearby homes. SFPUC Wastewater Enterprise operates and maintains 993 miles of combined sewers, collecting sanitary sewage from homes and businesses and street runoff. It also operates and maintains storage facilities and three sanitary sewage and storm water treatment plants. The immediate need in SFPUC’s Sewer Operations was to resolve the disconnect that existed between the work order and asset management system and the field service work taking place. As existing users of ArcGIS and IBM Maximo, staff could view asset data in tabular format within the work and asset management system and see assets using ArcGIS but could not view assets and work orders in proximity to each other. The existing process was tedious and time-consuming. Sewer Operations received service calls based on address/service locations. Calls were converted into work orders and assigned to field personnel on 3 x 5 cards. Work orders were then assigned manually to assets by looking up asset IDs in GIS and copying the information into work orders. The redlining feature allows SFPUC field service crews to redline errors while in the field and send them to the GIS data steward via the work order. Esri Silver Tier Partner EMA, Inc. (St. Paul, Minnesota), was selected to help the utility with the implementation. EMA’s experience with GIS, asset management, and technology integrations supported SFPUC’s goal to create tools that would enable service calls and assets to be viewed geospatially. The project team identified the functional requirements of the integration and designed and developed solutions during the project’s pilot phase. Implementation in Sewer Operations included a workflow gap analysis, configuration with the work and asset management system and geodatabases, data loading, synchronization, and testing. GIS data resides outside the asset database in a separate geodatabase. GIS feature classes are registered as objects in the asset database, keeping the data separate but available for use in all systems. GIS attribute data would be fully accessible via the geodatabase interface, which would use an Esri SQL API to integrate the database. The direct link between the geodatabases would eliminate any need to replicate data. The new functionality brought monumental improvements to the wastewater enterprise. The project improved the planning, scheduling, and dispatching of work in Sewer Operations by enabling staff to see what work is being done and where. Staff can cluster incoming service calls to identify problem areas to deploy crews rapidly, particularly during storm events. Workflow improvements have eliminated multiple work orders for a service issue and reduced the dispatching of multiple service crews to the same site. At the same time, asset management tools are efficiently tracking and planning maintenance work. “The increased knowledge we have on the state of our assets helps us with our maintenance, repair, and replacement decisions,” Harrison says. ArcGIS query capabilities can be performed within the work and asset management system, and asset data and location data is up-to-date—even for those in the field. For more information, contact Lily Dryden, enterprise GIS coordinator, San Francisco Public Utilities Commission, or Dave DiSera, vice president and IT practice director, EMA, Inc..